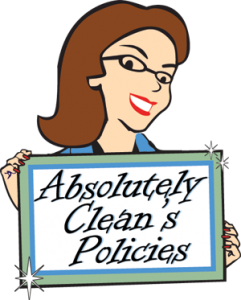 The mission of Absolutely Clean is to provide consistent quality in domestic services, so please be sure to be familiar with our Policies so we can provide the best service possible. Payment is due on or before the day of service. We accept cash, check, visa, mastercard, and discover. If you choose to pay with a credit card, your cleans will be charged on the first of the month for the months cleans, or Friday, if the 1st falls on a Saturday or Sunday. If your card has already been processed and service is cancelled after the first of the month, your unused portion will remain as a credit on your account to be used for future services. If a refund is granted, we will refund the unused amount minus a 15% admin fee. If this is not agreeable, you have the option of paying with cash or check at the time of service. If you choose to pay with a check or cash, we need a credit card on file as a back-up payment. If you fail to leave payment at your clean, your credit card will be charged the following day. We will give you the opportunity to bring it to our office the following day between 9 am- 4 pm. A 5% admin fee will also be added to your charge if we do not receive payment the day of the clean. Any returned check will result in a $35.00 service charge. By checking on the box below you understand and accept our Payment Policy. If you have ANY questions please contact us at info@absolutelyclean.org or at (319) 377-4404. **If you are signed up for ongoing services and cancel within 6 months, you will be assessed a charge upon cancellation for the price difference between your initial deep clean flat rate offered for ongoing services and the one time deep clean rate of $44 per labor hour for the initial cleaning. The mission of Time in a Bottle INC, is to provide precious “time” to parents that are dealing with the hope and care of their children becoming survivors. There many ways to help, donate your time, become a sponsor to one of our events, or Flock a Friend! Follow the Link to find out more! 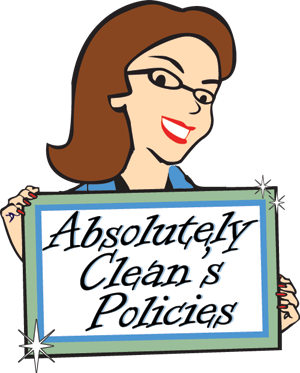 Be sure to sign up for Absolutely Clean's Newsletters! Be updated on the latest news, special events, monthly charities, and ways for you to WIN FREE stuff!! Stay connected with Absolutely Clean and learn all the great ways we help give you back your time! Ready to free up more free time and have Absolutely Clean come take care of your home or office?? Just fill out a Request for Proposal form and tell us about your project! Absolutely Clean will contact you ASAP with a quote. 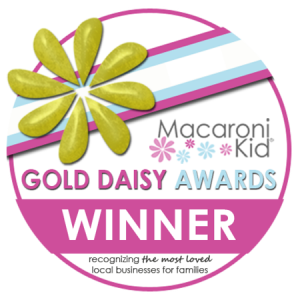 Find out what others are saying about Absolutely Clean! We are constanly trying to improve our process and cleaning methods. Readreal submitted Testimonials! Find out what events are going on at Absolutely Clean or just see whats on our minds! We are constanly trying to improve our process and connect with out clients. Readreal submitted Blogs from Employees from Absolutely Clean!